QUESTION: I read your article about credit scores with interest. I am 28 years old but have never checked my score. What is the reason for checking it and how should I do it? Is it something that my bank can give me? Do I have to pay? ANSWER: For explanations on how credit reports and credit scores work, one can look at various websites like creditreportsa.co.za, ezDebt.co.za, nationaldebtadvisors.co.za as well as those of big credit bureaus like Experian and Transunion. 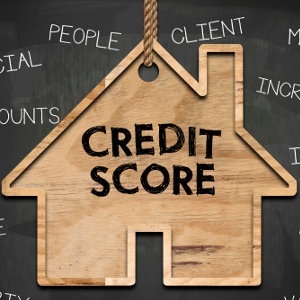 In short, credit bureaus put together credit reports on consumers and credit providers use these reports for a credit score, or credit risk profile when a person applies for any form of credit or loan. The terms of the credit (interest rate, amount etc.) are based on this risk profile. Please note however that the usual risk factors when borrowing money, like a steady income, expenditure and other security will still apply when applying for credit even though you may have a good credit score. A credit report contains information on your credit history and financial dealings. It clearly shows how you handled any debt in the past, how much and from whom you borrowed and if you repaid it on time and kept to the terms and conditions of the deal. Everyone in South Africa is, by law, entitled to a free credit report once a year. The credit bureaus are obliged to provide it when asked for one, but will ask a fee when a second report is requested within the same year. Credit providers use different scoring methods but usually the score range range is between 330 and 830. Above 750 is an excellent score and the applicant will not have trouble getting credit on the best terms. If the reader has no history of unpaid debt, a good salary and perhaps some savings or assets as security, he/she should not worry too much about a credit score. People with no credit history (no loans, no credit cards, cell phone or other accounts) will of course have no credit reports. When should you check a credit score? It might be a good thing to check on your credit report/score, especially if you intend to apply for a substantial loan, for example to buy a house or a car. The bank or other creditors should be able to help, or you could go directly to the credit bureau. For Experian phone 0861 10 56 56 or email eza.consumer@experian.com.